Nanny job - Pros and cons to bring her own child to work! Home / Our Blog / Nanny job - Pros and cons to bring her own child to work! Would you be comfortable hiring a nanny who brings her own child to work? A nanny who is also a mom and wants to bring her own child to work is a pretty common scenario in the nanny world. Provide childcare and have to find it for your own child? This is a complicated choice to make, not only due to the emotions involved, but also the cost of hiring a person to perform the same service you provide. Why work as a nanny just to pay your own nanny? It is complicated for the hiring families as well. Are there more pros or cons for the family? On the one hand, having another child in their home should provide their child with opportunities to socialize and learn to share on a daily basis. Usually, both children would develop a strong relationship, just like siblings. On the other hand, families also worry about whether in this situation, would their children be the priority for the nanny or would she focus more on her own child? Are they paying her too much considering they are “sharing” her with her own child? Can this scenario raise doubts about the nanny’s professionalism? I think that the key to a strong relationship between a nanny and the family she works for is to understand all the workplace rules and follow them. 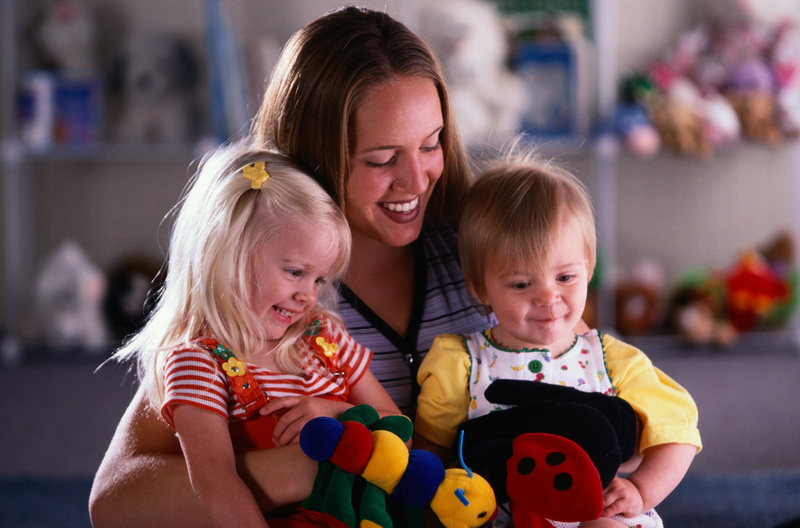 Nannies perform one of the most important jobs: they take care of our children. Just like any other kind of job, there are some guidelines to follow. The nanny workplace is the home, the families are the employers and raising the children is a collaborative project. Nannies, these rules are the key for success, especially if the family is considering hiring you and allowing you to bring your child to work with you. It is okay to make yourself at home; but always remember it is your workplace and not your home. Families who have hired nannies who bring their own children to work: what advice would you give to families that may be considering it? Nannies that bring your children to work: any advice on how to propose this situation to a potential employer?